The new LOADRITE X2650 onboard weighing systems designed for large hydraulic mining excavators promise to boost productivity on mine sites. By delivering accurate and instant haul truck payload weight data, the new LOADRITE X2650 will help mining operations increase productivity while reducing operational costs. The new LOADRITE X2650 onboard weighing system for excavators ranging from 200 to 800 tonnes will be launched at the Asia Pacific International Mining Exhibition (AIMEX) in Sydney, Australia on 20th August. The market launch follows a successful trial of the system at a large mine in New South Wales (NSW). According to LOADRITE Product Manager, Excavator Series, Gordon Hain, the X2650’s ability to deliver accurate weight information for every bucket of material loaded makes it stand out from the competition. 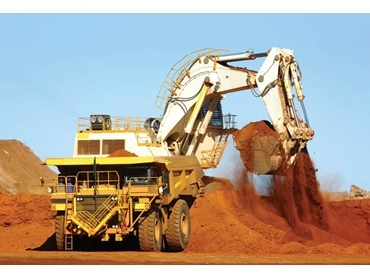 Conventional payload systems on haul trucks relied upon by most mining operations to measure payload weight provide data only after the bucket has been dumped into the truck, and accurate data is available only after the truck has left the loadout location. The result is a flat payload distribution curve for the fleet with the mean not matched with the target payload. Precious time is wasted if overloading or under-loading of the truck is detected. On the other hand, the LOADRITE X2650 onboard weighing system is fitted to the excavator, enabling operators to accurately measure each bucket load of material before it is put into the truck, enabling them to make better decisions. The X2650 is a dynamic in-motion weighing system, measuring the payload during the loading procedure and having no impact on the loading time. This maximises overall productivity as it reduces the occurrence of under loading of trucks or the need for trucks to return to the face if they’ve exceeded the overload capacity. The result is a payload distribution curve centred on the target payload with low variance. Gordon explains that real time data is very valuable to large mining operations, which are focussing more on enhancing productivity and reducing operating costs as they strive to increase profitability and overcome falls in commodity prices. Following the success of the initial trial, the NSW mine is now fitting the X2650 across its excavator fleet of six machines. Savings can add up to hundreds of thousands by getting loads right the first time, says Gordon. The X2650 also makes it easy for mine operators to comply with the commonly accepted 10-10-20 OEM Load Policy, which sees the warranty voided if the haul truck is 20% overloaded. Compliance with the 10-10-20 policy requires all loads to be below 110% of the target payload with only 10% of all loads between 110 and 120%. The bucket-by-bucket accuracy delivered by the X2650 takes the guesswork out of the process, enabling excavator operators to meet these load requirements and protecting the investment made in equipment. The user-friendly LOADRITE X2650 onboard weighing systems capture a wealth of critical productivity data that can be used to track and record overall loadout performance. The X2650 reports on tonnes moved per hour, individual cycle times and total tonnage moved by excavators or haul trucks, all of which can be transferred wirelessly for future analysis and reporting. Accuracy is assured to within ±3% in a wide range of demanding operating conditions, adding to overall system benefits. Gordon expects fast adoption of the X2650 system across the industry. “Systems like this are in huge demand. Globally, we’ve installed several hundred similar payload measurement systems on construction size excavators up to 125 tonnes. Given the link between productivity and profitability in the mining industry, we’re expecting to see strong growth of the X2650 system in the next 12 months,” he said.